Who doesn’t love a neat little role play game? RPG games give players a chance to enter fantasy worlds where they can mimic the role of a superhero and fight the most dangerous enemies. 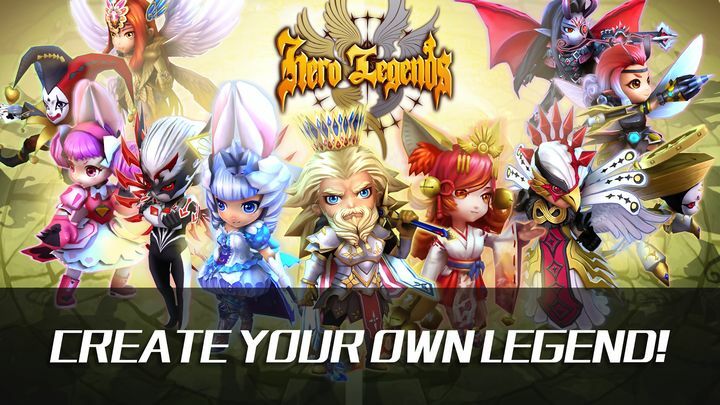 Hero legends is one such game where the player along with other heroes in their army fight others for victory and glory. 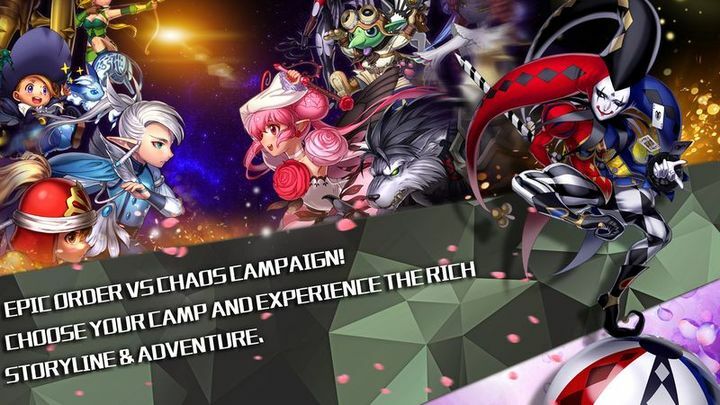 The fascinating part is that the battle in this game is between “Order” and “Chaos” which means the result of the battle would either lead to “peace and order” or “mess and chaos” in the world. On entering the game screen, the player is given a choice of two teams to choose from; the “Order” and the “Chaos” team. The order team are descendants of the angels and their goal is to restore order and eliminate evil from the world whereas, the chaos team are descendants of the devil and their mission is to cause destruction and create chaos in the world. The player chooses a team of their interest and also has the option to have a name of their choice. Otherwise, they can just tap the dice and the game generates random names from its database. Once this is complete, the player taps “Expedition Begins” and they are in the arena ready to fight the enemy. Tapping on “Battle” starts the battle between the two armies. Using the available warriors and power, the army fights the opponent. Each victory takes the army a level up and completing a certain number of levels completes a story and helps unlock certain resources. For example, there are a total of 8 stories and the first story has 10 levels. In order to unlock the Colosseum, the player needs to complete level 7. To unlock the Council Hall, level 10 is required and so on. You can also choose to accomplish various other missions to upgrade your skills and levels. For example, base construction for library, upgrading calm mind at the church, upgrading food storage at the farm, or attaining glory and these can be done by tapping at various areas of the city. Spinning the city takes you around different areas where you can have a look at what’s available, and collect gold coins, lumber, food, etc. You also get to meet new friends. With completion of each level, if you are the “Order” team, you get to restore order in the world and if you belong to the “Chaos” team, you get to create more chaos in the world. You can go around collecting coins, food and lumber to build your army. The levels are quick and short adventurous ones. The graphics is smooth and the 2D characters give a different feel to the interface. Hero Legends has stunning artwork and lots of fast paced combat action you’re sure to enjoy. The game is currently available in Closed Beta. If you plan to download the game before anyone else, be sure to do it on the 28th of Feb, when it becomes available for Open Beta. Hero Legends looks ravishing with all the right elements that could make it a great RPG. Click the link below to try out the game.